I was not sure how much I would find of use in this book as I do not live in a city. It was a very pleasant surprise to find information that can be easy adapted to suburban or country living. I have found myself looking at my surroundings in a new way. 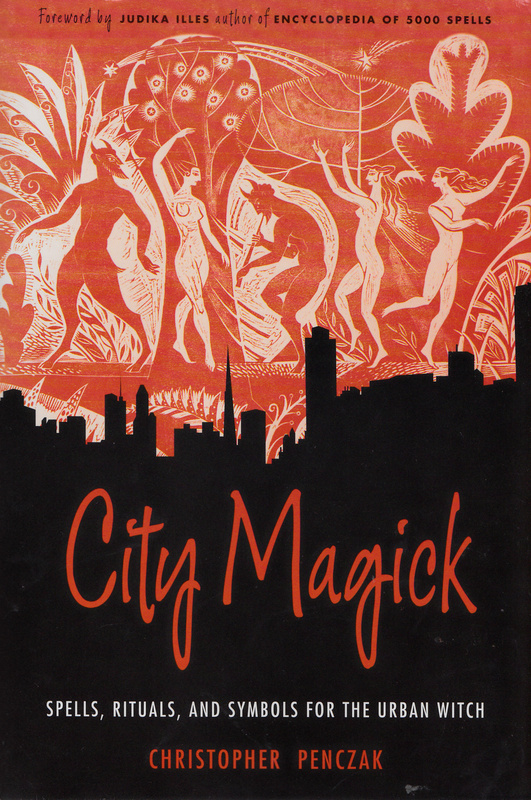 The author starts with the basics or what he calls the three R’s of magick – reality, rapture and ritual. Each of these concepts is described in detail and exercises to the help each are listed. Some of the exercises covered meditation, chakras, shielding, trance work and more. The section on City Totems is where I started seeing the world around me differently. The author lists City totems as those animals that have adapted to city life. These include some that are to be expected such as cats, dogs, squirrels and pigeons. Added to that list are rats, mice, ants, cockroaches, doves and seagulls. The author does not stop with animals. Just as some cultures personify trees and rocks, the same principle can be applied to the city. Spirit helpers can come from piles of steel and chrome such as cars, subways and streetlights. This section opened my view of the world around me. City archetypes were also discussed. As the author described it, just as Venice has the goddess Venus as patron, so can modern cities have archetypes such as buildings, construction, music and art, computers, or electricity. This led into a comparison of a city to the concept of the world tree with its’ three levels. Just as the world tree has an upper, middle and lower level, so can a city. In this case it would be Sky city, those buildings that reach into the sky; the middle city which is the city which is visible on ground level and finally the lower city, that which is hidden below street level. Further chapters introduces the idea of a television alter and using a television for projection or scrying. Added to this is techno tools as opposed to traditional tools. These techno tools can include drum machines, synthesizers, walkman, television, VCR, city plants and stones. There is also information on finding magick words in streets signs, sigils in graffiti and maps. I particularly l liked the information on creating and using modern runes. This book contains much more information than can be described in this book review. The information is valuable not only to the City Witch but to all on the Path. It offers an abundance of information that can be adapted to any residence.